Are you looking for a new challenge or to become more active outdoors? 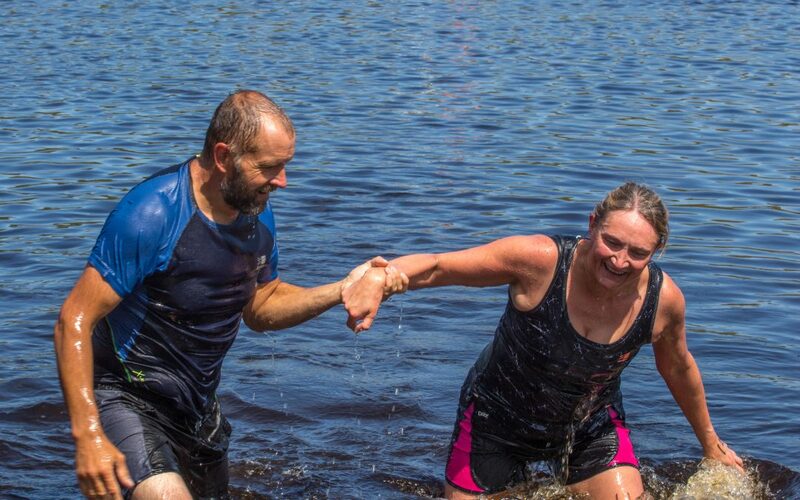 If the answer to one or both of the questions above is yes then check out our wide range of events designed to get you active outdoors and having fun whether as an entrant or as a member of the ‘TRIBE’. As a community interest company we are driven by a passion to engage as many people as possible in regular outdoor activity. We achieve this through mass participation events where challenge is at the forefront and celebration of completion is key. 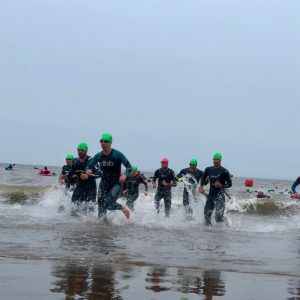 Outdoor Events are becoming more and more popular – we’ve seen a huge rise in participation over the past few years in every type of event from traditional triathlons to 48 hour mountain marathons. The rise of tough and muddy weekends is seemingly unstoppable! Here at Channel Events our philosophy is to engage as many people as possible in great outdoor experiences so we’re fascinated by this. It occurred to to write something about this having entered and completed the Scilly Swim Challenge back in November 2017. 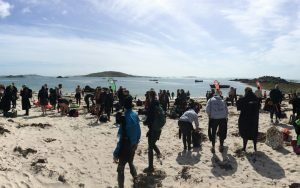 This is an amazing event involving 16km of sea swimming and 10km of walking to journey round all the major islands on the Scilly archipelago. An awesome adventure attracting people from all over the world. But what keeps people coming back? Well if you delve into it there’s a lot more to be had from entering an event than just the event itself. Within minutes of booking I was connecting to people I’d met in previous years, excited about seeing them again. Social media chatter about the event started to build and I was engaged in conversations about what to expect, training plans, logistics, travel, accommodation, you name it. Photos from previous events were circulating and the whole atmosphere was building – and the event wasn’t until September the next year! It struck me that we need narrative in our lives and something to identify with, not just things to do. We need things to look forward to and things to structure our thoughts and aspirations. I was so excited I went for a swim – and discovered that I had a renewed purpose. I wasn’t just going for another swim, following a random training plan or responding to a Facebook group call to action – I was training! (as much as I have ever ‘trained’ for anything…). But it’s certainly true that by entering an event we make for ourselves a whole framework for the activities we love – and that goes from when you book right up to the event itself. A one day event may drive six months of regular outdoor activity and healthy lifestyle. Sure, a few pasties and the odd pint might sneak in there as well but for the relative inexpensive of an event ticket you’re buying a structured approach to your outdoor fitness that beats any gym membership. So that’s why we love organising and entering events here at Channel. Because it’s all about getting outside, doing more cool stuff and meeting great people. Find an event today and go for it!